1. What is the difference between GTO and RTO? 2. Which areas does the AIT RTO specialise in? 3. What if my course isn't offered at the AIT? We can still help! More courses are available through other Training Providers, so please call us directly for more information on 9233 9800. 4. Can I just do my training at the AIT? 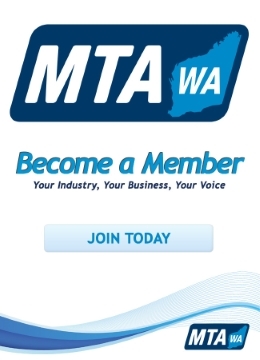 Yes, the MTA WA's AIT is a Registered Training Organisation. If you are employed as an apprentice within a business then you are able to undertake your nationally recognised training at the AIT. We deliver your off-the-job training while your employer delivers on-the-job training. 5. How many days of training must an apprentice attend? Most training blocks run for three days and apprentices attend one block of training per school term. Training consists of a range of theoretical and practical tasks followed by written knowledge testing. 6. How many years will my apprenticeship take? Most apprenticeships take between 42-48 months to complete. 7. What is the course structure for an apprenticeship at the Automotive Institute of Technology (AIT)? The program is structured over 3 years providing the employer with more access to their apprentices when they are needed most. A set number of units will be completed each year, ensuring clarity on the progress of the apprenticeship for both the employer and apprentice. A set number of days for classroom training will be allocated to each apprentice at the beginning of each year. This consists of approximately 4 blocks of training per year (with a minimum 2 days to a maximum of 4 days per block, in any one year). A clear focus is made on reducing the impact of classroom training on the employer and minimise workplace disruptions. A minimum number of trainer/assessor contact hours, for workplace visits per apprentice, will be undertaken each year to assist with transferring learning into the workplace. 8. Do I need my own tools for my apprenticeship? No, you will be provided with a tool kit from the AIT when you commence your apprenticeship. However, if you would like to purchase your own this is also allowed. 9. When should I apply for an apprenticeship? We accept apprenticeship applications all year round. 10. Am I Junior or Mature Age? A Junior Apprentice is aged under 21. A Mature Age Apprentice is over 21. 11. What is your RTO Provider Number?